Cholera is a serious bacterial infection of the intestines that may result in severe, watery diarrhea. Cholera is caused by bacteria called Vibrio cholerae. Cholera occurs more often in countries that do not have treated drinking water or good sewage treatment. Those who are at highest risk of getting cholera are persons traveling to foreign countries where cholera is common. Cholera is rare in the United States. Symptoms usually appear 2 to 3 days after eating or drinking food or water contaminated with the bacteria, but can occur as early as a few hours after ingestion. The symptoms of cholera include sudden onset of mild to severe watery diarrhea, vomiting, and dehydration. There can also be leg cramps. Usually there is no fever and no blood in the stool. Cholera is spread by eating food or drinking water contaminated by the stool of someone infected with cholera. Cholera can be spread in the home if someone who is infected with the bacteria prepares food for others. Consumption of ice and fresh vegetables or fruits prepared with contaminated water can lead to infection, as well as the consumption of raw seafood or fish. Infected individuals can shed the bacteria for several days after recovery, and people with asymptomatic infection can shed for up to two weeks after exposure. Some other bacterial and viral infections can cause similar symptoms. Cholera is usually diagnosed through a stool culture. Severe diarrhea and/or vomiting over a long time may cause the body to lose fluid too quickly. Lost fluids should be replaced by drinking liquids such as fruit juices, soups, and special fluids called oral rehydration salts. Occasionally, fluid loss is so severe that fluids need to be given through the veins. A doctor may also prescribe antibiotics to shorten the duration of the diarrhea and shedding of the bacteria in the stool. There is evidence of long-term immunity after a cholera infection, although the duration of immunity is unknown. It is possible to become re-infected with different strains of cholera. Cholera infection in the United States is very rare, and most cases are due to travel or consumption of contaminated food. If you are traveling to countries known to have cholera, ask your doctor about cholera vaccination. Avoid drinking untreated water (streams, lakes, and ponds) or water from unknown sources. Avoid bottled water with broken seals. If you are unsure of the safety of water, drink only water that you have boiled for at least one minute or treated with chlorine or household bleach. Wash your hands thoroughly with soap after using the bathroom, after changing diapers, and before preparing foods. Cook and eat all foods right after they are prepared. 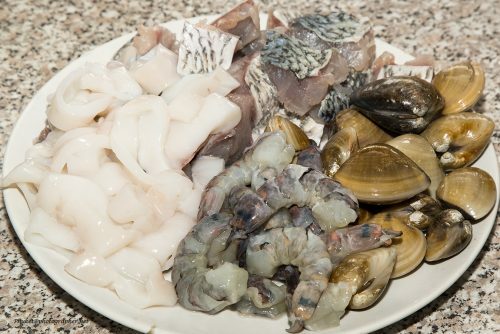 Avoid undercooked or raw fish or shellfish. Ensure the proper disposal of all bodily wastes (including the laundering or disposal of soiled diapers). During a cholera outbreak or while traveling in countries known to have cholera, avoid eating raw vegetables and fruits you cannot peel yourself. Also, be careful of cooked or uncooked foods that require handling by the bare hands of someone else. For more information: Centers for Disease Control and Prevention (CDC).